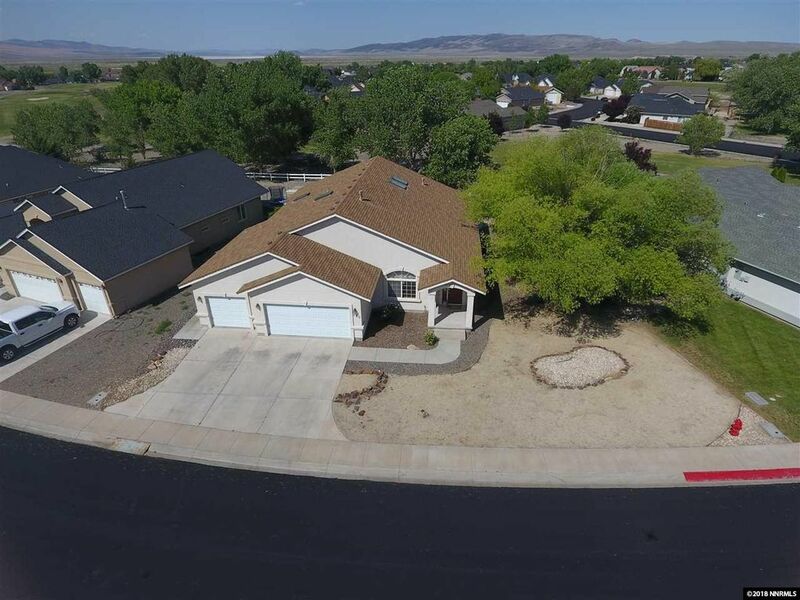 This home backs to the Fernley Golf Course. Enjoy the large heated sunroom with lots of windows. The great-room floorplan has high ceilings, central air conditioning and multiple ceiling fans. Kitchen is open to the family room and has a pantry, gas range and breakfast bar. Family room has a gas log fireplace, media niche and French doors to the sun room. Oversized finished garage with 2 openers and insulated doors. Upgraded flooring and window coverings throughout the home. The large master suite has a private door to the sunroom, large walk-in closet and lots of light. The master bath has improved fixtures, soaker tub and large walk-in shower. There are lots more upgrades to see. Call now for a private viewing! The original square footage of the home is 2, 173 square feet. There is a finished sunroom built on the back of the home with lots of windows and a door to the back yard. Oversized garage is 748 square feet!